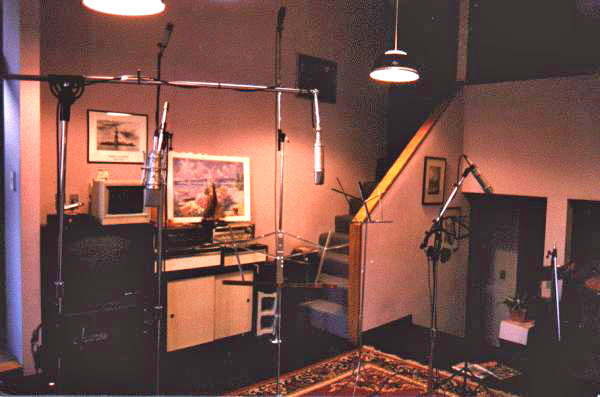 Welcome to Reeves Audio Recording. Here's a guided tour of our facility. At the center of the facility is the CONTROL ROOM. 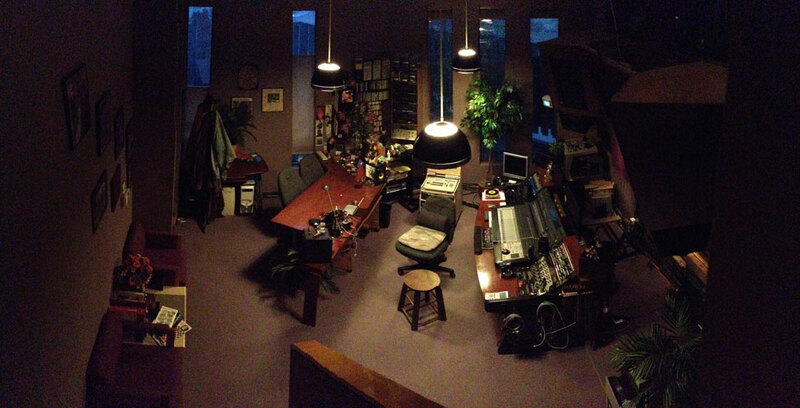 The heart of the Studio. This is where all the artists performances are sonically blended or mixed. 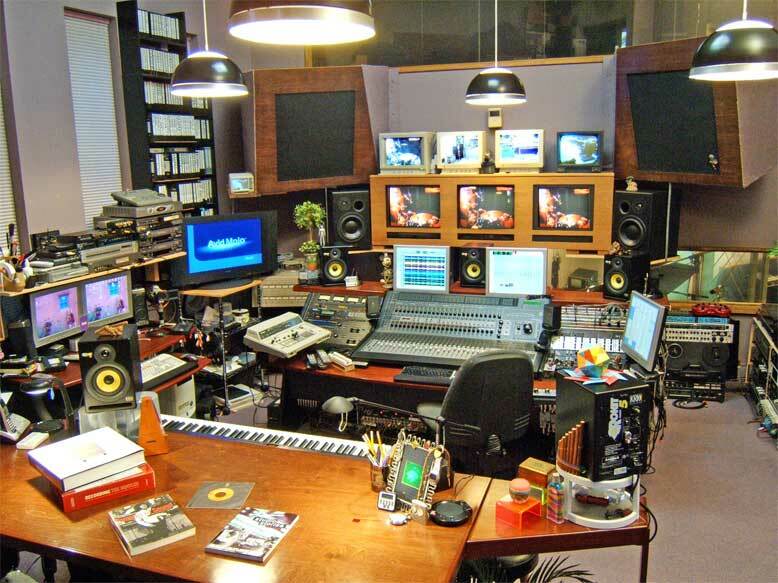 It contains various types of reference speakers (see EQUIPMENT ), a state of the art virtual mixing console capable of blending 64 microphones simultaneously and electronically routing them to various formats of audio and or video recording machines, including the latest Digidesign Pro Tools HD-8 High Definition, 64-track hard disk recording system with over 2 terrabytes of recording space and "hands on" CONTROL 24 Moving Fader Total Recall mixing, allowing continuously variable alterations to any parameter of a mix, employing the latest "soft" outboard gear plug-ins at any point in the CD and DVD creation process. edited and burned to DVD - all right here! ADAT 8 track digital format recorders, a TASCAM 1" analog 16 track 15 i.p.s. dbx'd tape transport are still available for transfer to the Pro Tools and edited and mastered to 24 bit CD format. 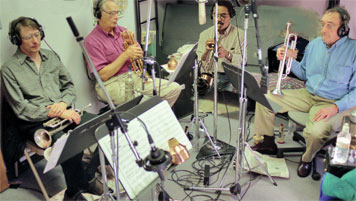 In the case of the multi-track recordings, each instrument or group of instruments are routed individually to their own track in order to control the blend of that instrument (or voice) in the mix after the performance has been achieved. It allows the addition of special effects processing such as reverb, echo (digital delays), chorusing, pitch and time correction, etc. to be added in the post production. 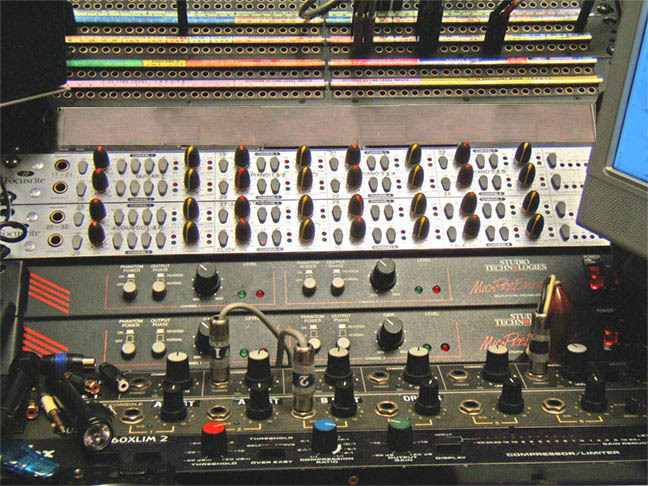 At "mix down" time, at least 64 input channels are available which are fully automated by the latest dedicated Mac computer running Pro Tools HD8 TDM digital audio recording system and AVID Media Composer with "MOJO" on a MAC Pro quad core Intell with several terabytes of video hard drive space. MIDI sequencing via the latest software; Waves, Melodyne, Antares, Focusrite, Bomb Factory and almost all the latest RTAS and TDM plug-in manufacturers is also available in the Control Room and is interfaced to all rooms. 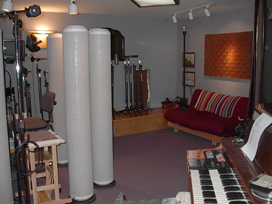 Keyboards or other controllers can be simultaneously be recorded to a sequencer and to "tape". This allows for optional post editing of the performance and the instruments' sound can be transformed or layered with other MIDI sound modules provided in the Control Room. 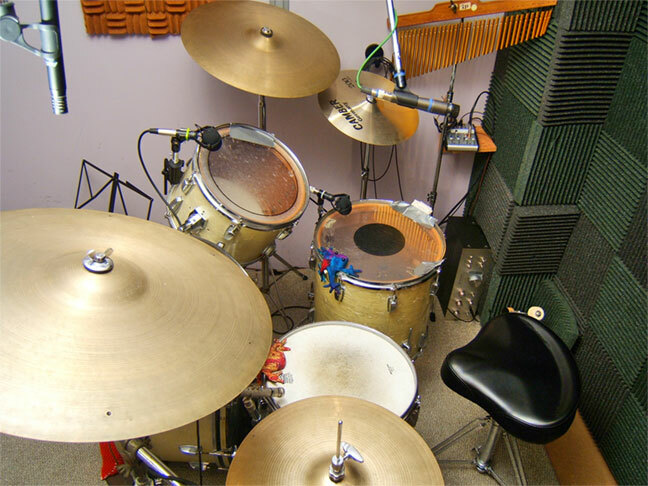 Live drums can also trigger MIDI drum samples for replacement or embellishment. All signals originating from the Studios A through E are routed through Mogami oxygen free cables to the main jack panels (Patch Bays) at the console. The bays also interconnect all peripheral analog and digital processing equipment to and from the console as well as digital audio, video, MIDI and SMPTE time code. 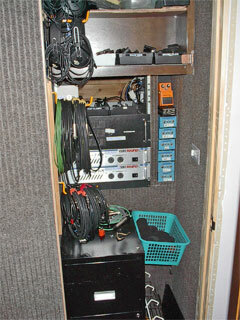 Sony and Panasonic broadcast cameras are also interfaced from all studios to a central video 90 point patch bay and 18 distribution amplifiers. 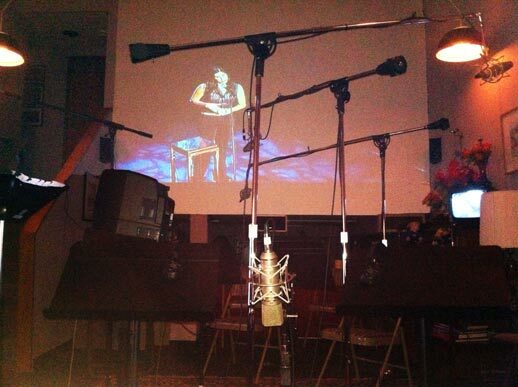 A total of 72 Mogami "oxygen free copper" mic lines, 14 earphone cue lines, 8 speaker playback/ talkback lines, 32 video cables and 12 digital/midi cables are routed throughout the facility between the patch bays and the "Mic Panels" in 8 locations. All rooms are tied together with independent communication lines such as earphone (Cue) lines, speaker talkback/ playback, video monitors including a Panasonic HD 1080i/720p HDMI video projector on a 16:9 x12 foot screen with a 1000watt Denon 7.1 True HD surround screening room and a 42" 1080p LCD HDTV and industrial cameras for visual communication and playback, MIDI digital interface and remote control. This allows performers to see and hear each other while being physically isolated from each other in order to achieve musical cohesiveness while maintaining sonic separation allowing absolute freedom in the mix processing. 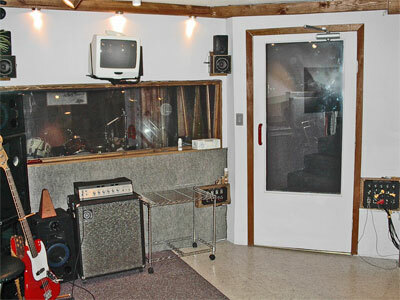 But, as an alternative "old school" approach, the large North room is available for live band recording. This allows a band to play acoustically without the use of earphones, in a more natural scenario. 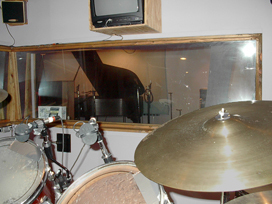 The control room includes a multitude of video monitors for viewing the performers throughout the studios and for video playback. 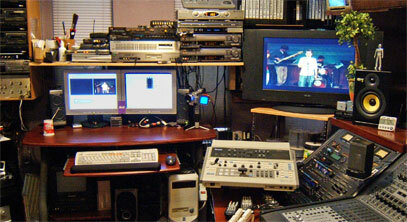 A video patch-bay interfaces the Sony and Panasonic color cameras through two Panasonic broadcast switchers to provide a session-in-progress documentation video to DVD-R or mini-DV video decks for recording and playback. Music videos can be created with special effects using the Avid MEDIA COMPOSER and FINAL CUT PRO for video post production in our Video Suite. To insure low ambient noise from fans and drives in the control room, all "noise-generating" equipment is isolated in the machine room. 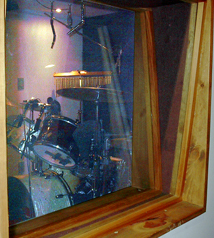 with sight lines straight through to the drum booth. Even a P.A. sytem is available for a totally "live" sound. 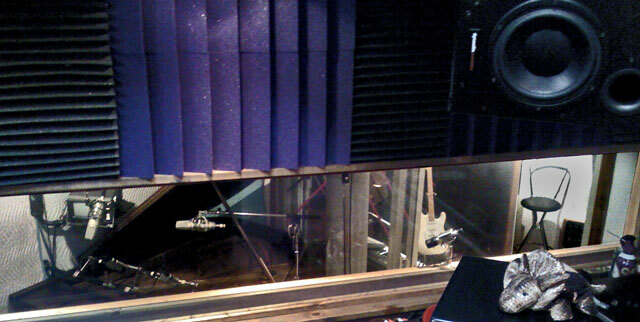 Studio B is an acoustically non-reverberant room for recording more intimate sounding vocals or acoustic instruments. 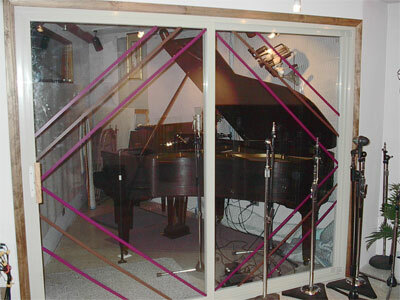 It also serves as a vocal isolation booth for simultaneous recording of a singer or narrator which may require altering at some future date. 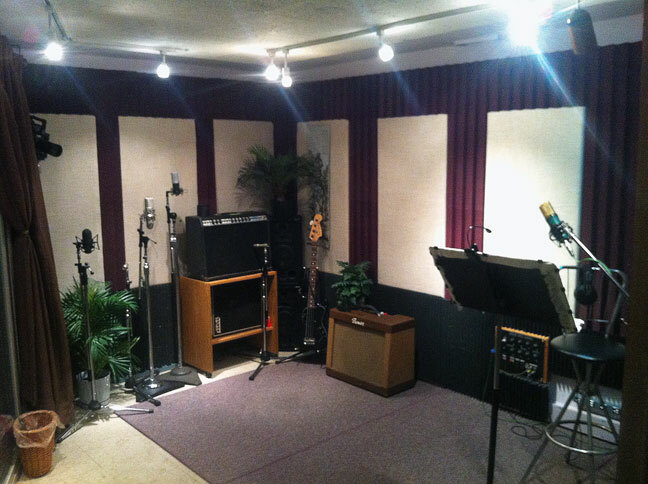 Studio C, the smallest room, is used for announcer voice-overs and guitar amp isolation or background singers, acoustic guitars and horns, harmonica plyers, etc. 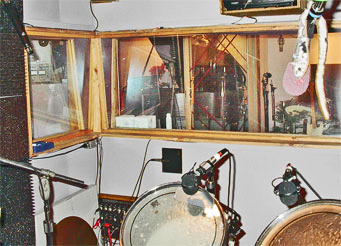 Another room, the Drum Booth (Studio D) is isolated acoustically and is physically "floating" from the studio structure to provide optimum isolation from leakage into the other instruments, It is also acoustically designed to yeild an ambient "sound" making it appear to sound larger than it is physically. 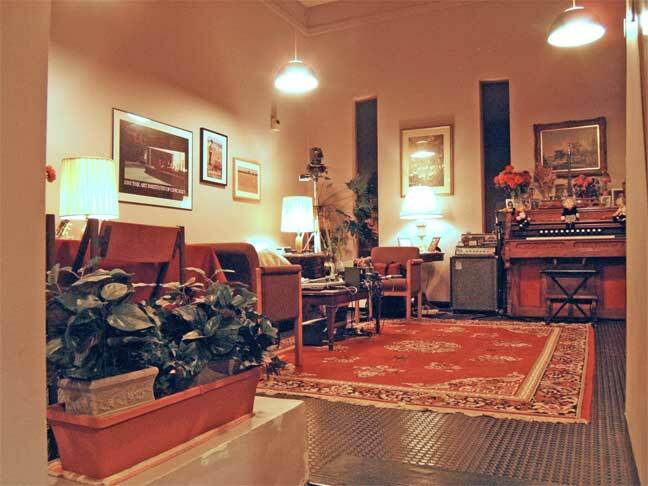 It houses an "in house" full set of vintage Ludwig drums with a choice of three chrome snares (Rogers, Apollo, Tama), a variety of cymbals, bells, tambourines, shakers, mallets and various percussion "toys". 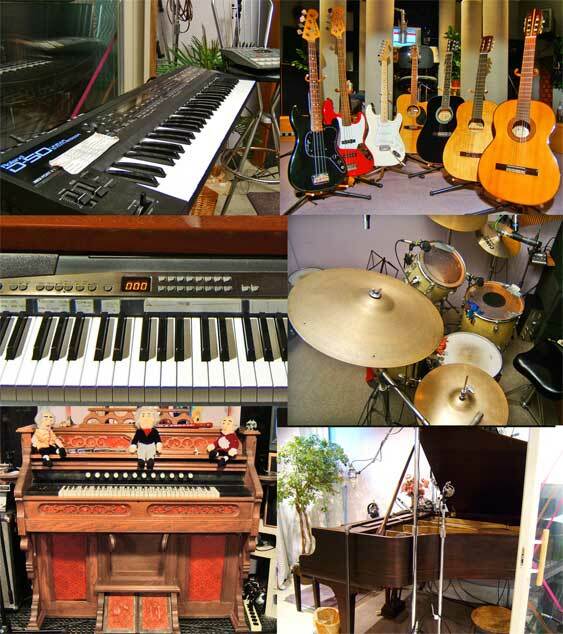 Studio N, the north room, is a large high ceiling "live" room which provides excellent ambience for stringed instruments, such as violins, celli, and acoustic bass, as well as brass and woodwinds. It is alsowhere the Hinner pipe organ resides.It is also an excellent screening room equiped with a 55" video projection screen and an 800watt 5.1 DVD surround sound system. We hope this tour has given you a good sense of the facility. Check out the rest of the site through the links below for more details. If you have other questions please call.